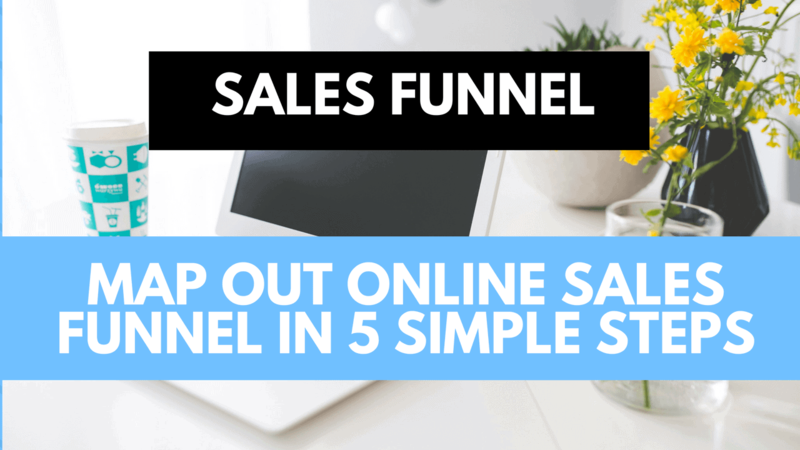 Online Sales Funnel – one of the most crucial parts of your business and one that should be on your agenda on a weekly basis. Without marketing your business will eventually fail as you will not get new paying customers. Good thing with online sales funnel is that it can be automated for the most part. You build it once and then just update it when necessary. 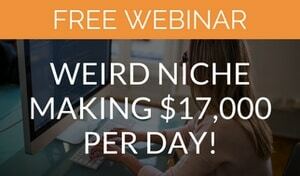 I call this #automagic and a first step towards passive online income. Let’s start with the basics and what a sales funnel is. An online sales funnel goes like this: the top category is the biggest one and represents the largest number of people. 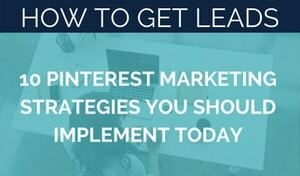 From this awareness stage leads go through the funnel, and eventually become paying clients. Not all people convert from lead to client, no matter how much work we do to convert them. They are not just our idea clients. This journey may differ depending on your business, your niche and the types of products and services you sell. 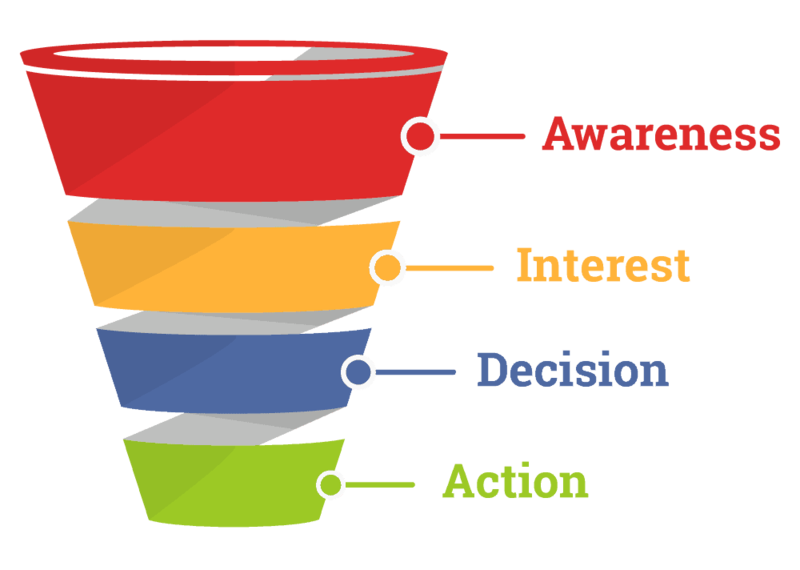 You can have as many or few stages on your funnel, but in general a funnel has following stages: awareness, interest, decision and action. The top of the funnel is where your potential clients first see you. This includes blog posts, social media posts, videos, and other marketing content. Videos on Facebook and Youtube work really well for this! The funnel is widest at this point because the majority of people will stay here and not move any further in the funnel. 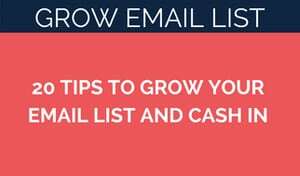 One of the main reasons for giving out this free content is to get prospect to give you their email address in exchange of an opt-in offer. This could be mini-course, download, cheatsheet or report. At this stage your email marketing provider must provide you automations, meaning emails are sent without your involvement and as per your defined actions. Once people trust you enough to give you their email address, you have gotten over the biggest hurdle. But there are more to come. Now you need to convert them to paying customer. You could do this immediately after opt-in, One-Time-Offer, where you offer them to purchase your low-priced offer right after downloading your freebie. This works really well on many niches and I highly recommend testing this. You will loose people because of OTO but those would never buy from you anyways, so do not worry about this. You can see my Sales Funnel Funnel with OTO here. As you have people going through your funnel – at this stage on an email – you need to warm up them to your next offer. If they bought the low priced offer from you, you should offer the next logical step in the process at this stage. Fewer people will purchase at this stage, but those that do are already invested into you and your offering. And finally, at the narrowest part of the funnel is your coaching or consulting program or high-ticket offer. Bigger investment at this stage means that people who buy at this stage know you already and the value you offer. There are multiple steps in coming up with a funnel that works for your business but the more time you spend on this better your results. That is a guarantee! Do not worry – I have great option for you that is drag-n-drop. No need to hire anyone and you can use saved money on Facebook ads! This funnel is a starting point to a funnel with landing page, OTO-page and thank you page. You can optimize it to your liking. 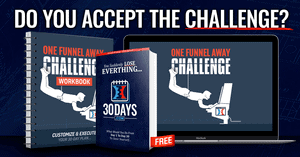 I use Clickfunnels for all my funnels and I highly recommend it due to their analytics. Without analytics your funnel is useless as you do not know at what point people drop off your funnel meaning you can not fix what you do not know. Here’s a handy tool to get your Copywriting done in matter of minutes – I use it on my funnels and emails. Once your funnels is set up it is matter analyzing it and optimizing it for conversion. Watch my 4 Ways to Sell More Without Paid Ads – Free Training Webinar. *links on this blog post are partner/affiliate links. They allow me to keep writing free tutorials and videos. Nina, Thanks for the review of Convertri and yet I see that you still use click funnels. I’m just wondering why you need both? I’m currently with CF and Convertri looks intriguing. Just trying to figure out which way to go. 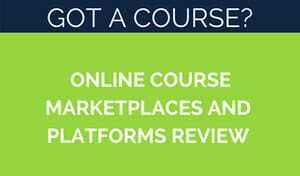 I don’t need both but many clients prefer one platform over another so it is part of “knowing all the tools” and just trialing which one works best for my business as well. I also create courses around these tools so I need to know what’s going on with each. Convertri’s current offer is really awesome.. it does disapper in less than 24 hours in case you are interested. They do offer 30 full refund if you are interested just checking it out. 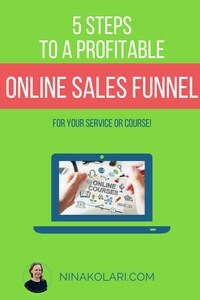 How do you find Clickfunnels? For me personally, lack of UNDO button is huge minus for CF.